Guns N’ Roses are certainly no strangers to Toronto. So to hear they were coming to town and playing the small confines of the Sound Academy kind of threw me off. I believe most would have expected them to play at the ACC (Air Canada Centre) like they did on their 2010 visit or The Molson Canadian Amphitheatre. After all this was the band that played and filled the old Exhibition Stadium many times years ago. The band still led by vocalist Axl Rose, took to the stage at 10:35 PM (relatively early for Rose who is known for late starts) and played an approximate two and a half hour set. 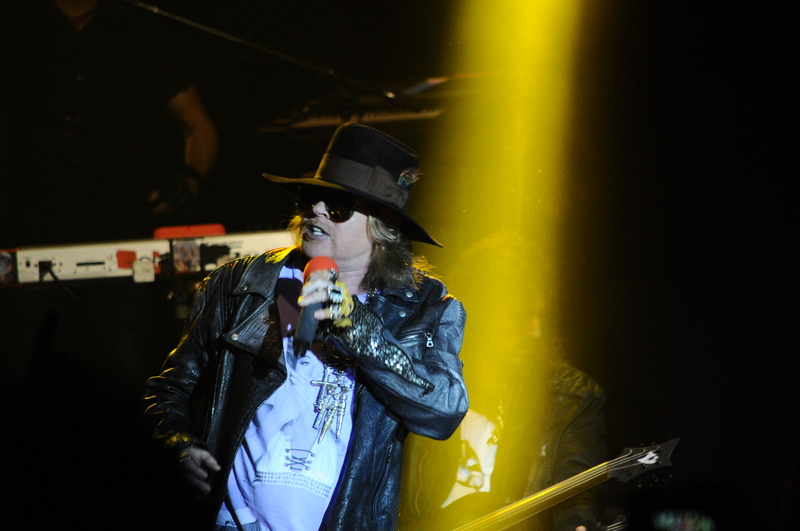 The set started off similar to the 2010 visit until the play of epic track “Estranged,” surely one of the highlights. 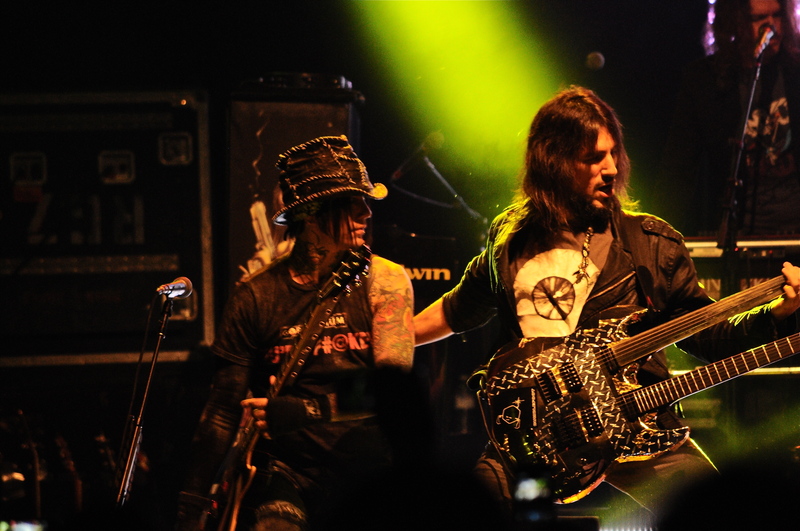 Rose did little talking as he chose to let the music play stopping several times giving way to solos for guitar players, Ron “Bumblefoot” Thal, Richard Fortus and DJ Ashba. While each guitarist is extremely talented the solos were redundant and simply just a way for Rose to take a break. Bassist Tommy Stinson also took a turn at the mic for “Motivation” a song from his 2004 release Village Gorilla Head. Keyboardist Dizzy Reed the lone holdover from the Use Your Illusion era also shone on his solo which featured The Led Zeppelin classic “No Quarter”. 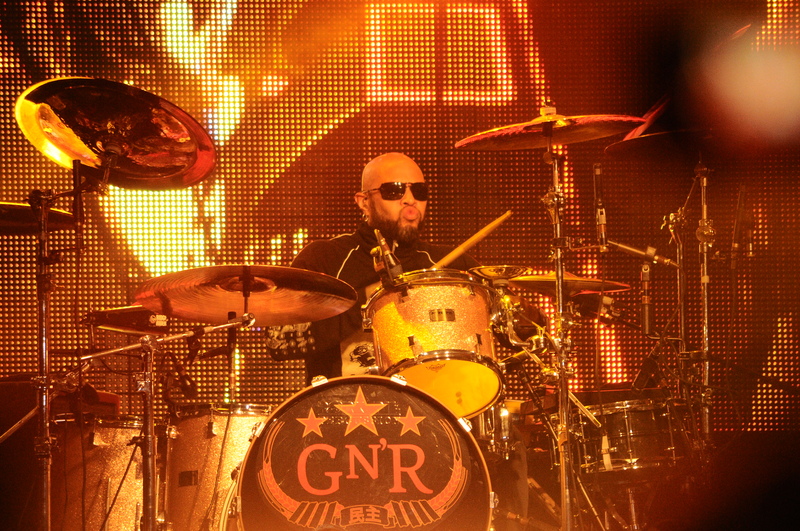 Rounding out the band was drummer Frank Ferrer and keyboardist Chris Pitman. With the stage being smaller than what he is accustomed to, it did not prevent Rose from working it best he could as he dug out Lies classic “Used To Love Her”. Other highlights included “You Could Be Mine” and of course “November Rain”. The encore started out as an acoustic jam before going off into “Patience” perhaps the song of the evening. Pulling out a cover of The Who’s “The Seeker”, before closing with a strong version of “Paradise City”. 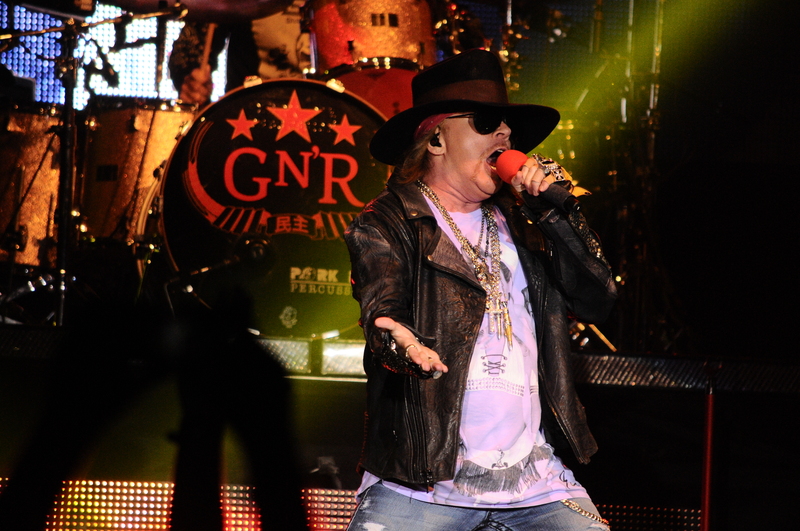 While Axl’s voice may not be what it once was, he still sounded confident and was good enough to deliver a show that satisfied long time fans even with an entirely different line up of musicians. Make no mistake he has surrounded himself with some quality and talented folks. It will be interesting to see what road Axl Rose will choose next as it has now been almost five years since Chinese Democracy was released.